Home / IT Security / Meeting HIPAA compliance to track and recover lost files. A world-class medical imaging practice chooses FileAudit to track and recover lost files. A medical practice based in New England offers diagnostic services to the medical profession. It has a network of private facilities, staffed by board-certified radiologists, registered technologists, and a team of dedicated staff that offers physicians and patients prompt and professional service. The medical practice has 300 employees, 15 of whom are based in the scheduling department which is responsible for patient scheduling and processing referrals from healthcare professionals. For example, if a doctor needs to refer a patient for a scan, he will fill out an order form which is then processed by the scheduling team. 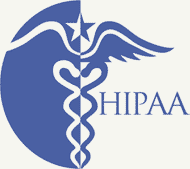 As a medical practice dealing with confidential patient data, the department needs to ensure that they comply with the Health Insurance Portability and Accountability Act of 1996 (HIPAA), which is a requirement of the Secretary of the U.S. Department of Health and Human Services (HHS), to protect the privacy and security of health information. In addition to meeting HIPAA compliance, the scheduling department wanted to monitor user activities when it came to moving and viewing files. The scheduling department receives about 200 to 300 referrals a day and each referral takes between one to two minutes to get processed. Sometimes mistakes are made and the team required a solution to help trace and resolve these mistakes. Looking for a solution, the IT team discovered IS Decisions’s FileAudit via searching the web. Meeting the key requirements, the senior application analyst recommended FileAudit to his team and signed up for the one-month free trial to test it. After a successful trial, the medical centre purchased FileAudit for the scheduling department. The setup was quick and easy, taking only a few hours. It was installed on the medical centre’s server and the network that they wanted to monitor. PDF files are stored on a shared network which are then processed by the scheduling team, and the IT team uses FileAudit to track movement and viewing of these files. In the event that one of the referrals is misplaced or lost, a supervisor will need to get involved to investigate what went wrong and sometimes giving him access to the scheduling server can be tricky. With FileAudit, the supervisor will be able to use a PC to track down the steps to where that referral was last located without requiring access to the server itself. When this happened recently, the supervisor took less than half an hour to track the referral. The medical centre started using FileAudit since the middle of 2015 and is currently on version 5. Don’t take our word for it, Download now the fully functional Free trial and see for yourself how easily FileAudit can bring a new level of security to your Windows File Servers! Find out further ways in which IS Decisions can help you address HIPAA compliance to keep patient data safe.